Is your 2018 hay crop trash or treasure? There’s really only one way to know! Photo By: Brooke Beam, AgNR, Educator, Highland Co. 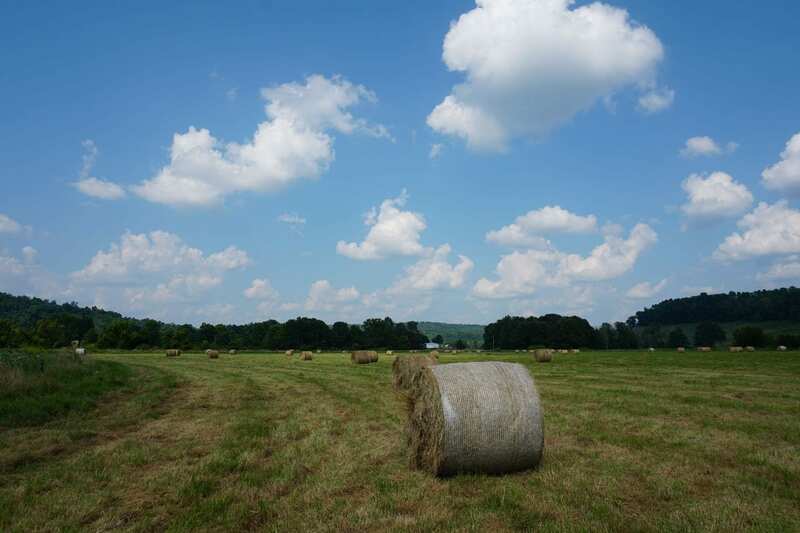 In this month’s Forage Focus podcast, host Christine Gelley, an Extension Educator with The Ohio State University Agriculture & Natural Resources in Noble County, talks with Belmont County ANR Educator Dan Lima about a variety of concerns with re-establishing forages after pipeline construction or repair. FED CATTLE: Fed cattle traded $4 higher on a live basis compared to last week. Prices on a live basis were mainly $115 to $117 while dressed prices were mainly $181 to $185. The 5-area weighted average prices thru Thursday were $115.37 live, up $4.32 from last week and $181.49 dressed, up $5.23 from a week ago. A year ago prices were $118.92 live and $189.04 dressed. Last week brought a flurry of market information from various NASS reports that give added insight into the cattle supply situation and the inventory levels likely in 2019. In the November Cattle on Feed report, placements were lower and marketings were higher than year ago levels. The placements were at the very low end of trade expectations, while marketings were at the very high end of trade expectations. The slight bump in futures last week, however, did not last long. The latest on-feed total of 11.7 million head continues to be a large absolute level of cattle to work through. Spatially, there was little disparity in the on-feed totals across major feedlot states. The marketings were a little higher in Nebraska than in other states. The implication of these factors is that the number on-feed is narrowing back toward the 2017 level. In this month’s podcast of Beef AG NEWS Today, show host Duane Rigsby visits with OSU Extension Beef Coordinator John Grimes about a variety of herd management tools, tips and their associated costs. 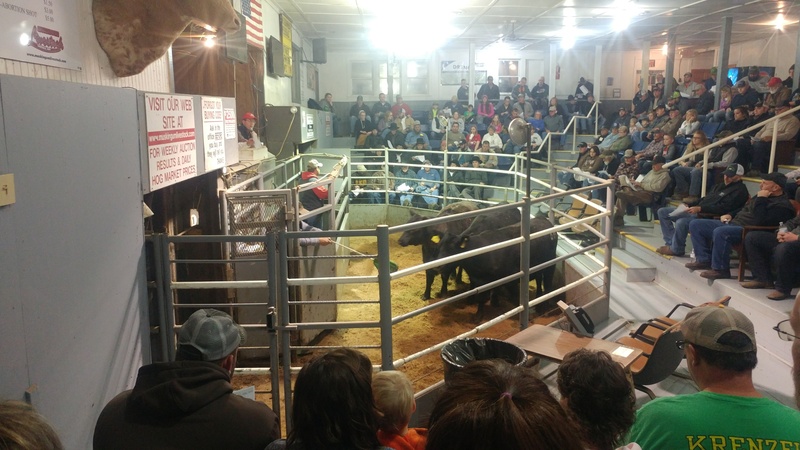 Cattle markets overall have shown impressive strength despite larger supplies during 2018. Feeder steer market averages have been near level or slightly stronger than 2017 levels in many markets over the past few months even in the face of larger calf supplies. USDA-AMS reported national feeder and stocker receipts were around 15 percent higher during August-October 2018 as compared to the same three months during 2017. Moving more calves at level or higher prices is a testament to the current demand-driven environment. But the same “strength despite supplies” story does not hold for the cull cow market in 2018. Usually one of the more predictable seasonal markets, cull cow sellers have been plagued by low and going-lower prices for most of the year. Cull cow price data is a little more difficult to disentangle because there is often not as much volume or consistency across markets as there is for feeder cattle – but the trend has certainly been lower cull prices in 2018. In South Dakota, average cull cow prices reported by AMS were about 12 percent lower over July-October 2018 compared to the same four months of last year. In San Angelo, TX, cull cow prices were 18 percent lower over this same period and in Kentucky, cull cow prices averaged about 17 percent lower.